I'm writing about how to manage e-learning assets because it's a subject that has come up in the community several times and I think it's a really great topic! E-learning assets includes things like fonts, templates, images, graphics (buttons, icons, call-outs, etc. ), video clips, sound effects, animations and any other items you can re-use in your e-learning projects. Effectively managing your e-learning assets involves a lot of tasks including downloading, naming, grouping, deleting, archiving, and backing up files. So, why should you bother organizing your e-learning assets? Everyone has a different preferred method for storing and organizing their files, but there are some generally accepted guidelines that will help you get started on the path to organization! 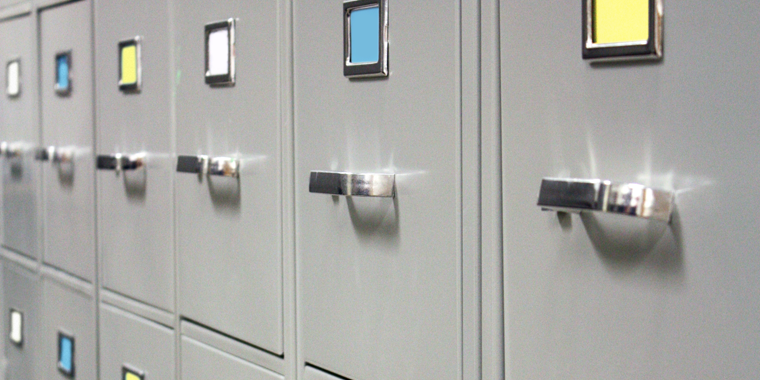 Folders are often the most straightforward and simple way to organize your e-learning assets. For me, working with a high-level, general folder structure makes things easier to find. I don't like wading through layer upon layer of sub-folders and usually end up giving up, so it's better for me to create high-level folders such as "Audio", "Images", and "Videos". Within an Images folder, I might have sub-folders such as "People", "Backgrounds", and "Office-Themed". Keep your folder structure simple and easy to understand. A community member pointed out that adding tags or keywords to your files is another way to make them more easily searchable. In Windows, you can simply right-click on an image and in the Details tab you can add keywords or tags which you can easily search for in Windows folder. Also, you might not know this, but some stock image sites add the relevant keywords and metadata to their photos, which makes the asset management even easier for you. It's a good idea to use a consistent naming style, and clear and descriptive names that makes files easily searchable. Try to use shorter words (not super long file names) and select keywords that clearly describe the asset in the name, and make sure everyone who is working with the files understands the file naming structure and sticks to it. Think of the search terms you and your organization might think to use when searching for materials, and try to use those. There are tons of different digital asset management (DAM) systems out there, created specifically to help you store, archive, and search for assets. Some of these systems are free or inexpensive, others are more customized and pricey; it depends on your needs and budget. Depending on the digital asset management software that you get, it will likely will allow you to add rich metadata and tags, and can sometimes automatically convert files from one format to another, saving you time and effort. We all know the television show "Hoarders". Well, there are a lot of "digital hoarders" out there. These are people who never delete a file or asset for fear that in a few weeks they will need that exact file. It's smart to keep the stuff you know you can re-use, but if you have multiple versions, old draft versions of files, or unfinished or low-quality assets that are just taking up space, you should delete them! Go through your files once every few months (or every week, if you really like things organized) and purge any files that are unnecessary. Hopefully these five tips will get you on your way to having a more organized e-learning asset library. If you have any additional tips or best practices I haven't listed here, I'd love to hear from you in the comments! Haha, DAM systems. On a more serious note, have you had any luck using SharePoint/OneDrive to store and share images and video assets? Right now my team and I are storing images on SharePoint, and using shared PowerPoint files to create more complex images. It seems to be working well, except it is not as searchable as I'd like.